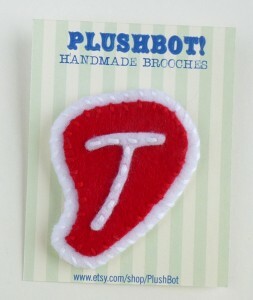 Sh ow your love of meat with this handsome T-Bone Steak Brooch! Heads will turn when you show up at a fancy dinner party wearing this fashionable beef jewelry. Available on Etsy.